Model and reality star best known for her appearance on the 2010 series The Real McCoy. She has modeled for Apple Bottoms and brands like Macy's. In June 2009, she opened her Twitter account with the tweet "yes I finally made a twitter lol." She is an advocate and motivational speaker for "Girlfriends for Teens of Color Magazine." She was born Kaienja Morae Pace in Chicago, Illinois. 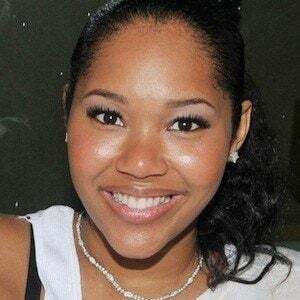 She is the daughter of actress and model LisaRaye McCoy. She is friends with fellow model and entertainment family royalty Summer Wayans.